Created just for My Crystal Bliss and Crystalline Light, this set is all about expanding your capacity for LOVE for your SELF! Crystals are a wonderful support to remind you of the gifts you already possess within yourself, and learning to truly LOVE yourself is divine. These crystals were chosen specifically for opening your heart, learning to LOVE yourself with compassion and grace, and to find the JOY in life. Most items are exclusive to the set and not available for purchase individually. The retail value of this set is $58! A lovely, large, high quality polished Rose Quartz from Madagascar! Rose Quartz emits pure Divine Love. It truly reminds us to return to our hearts and find miracles in every day living. This stone encourages us to learn new possibilities and new ways of being on the Earth. Opens us to self-forgiveness, self-love, compassion for all, and the feeling that the Universal Truth is Love. Rhodonite is a beautiful dark pink with a black streaking. This stone strengthens feminine energy with love and compassion, and yet unbending strength even while going with the flow. It helps us be gentle, expand our heart, and allow for grace. It’s a strong heart chakra stone, and shows how to love in practical ways. 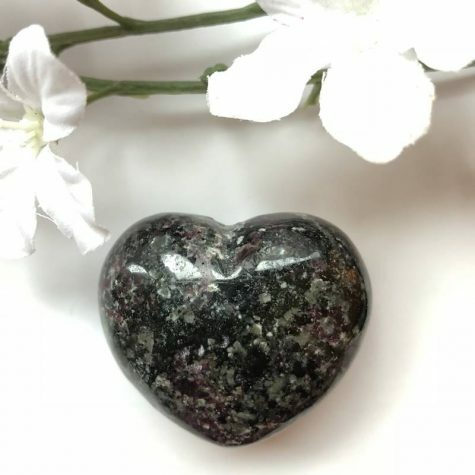 This is a great heart chakra stone for grounding into your heart. It is said to promote enjoyment of life and JOY. It can release negativity and stress and promotes relaxation, positive self expression, and physical and emotional healing. Sweet light green Jade hearts. Jade helps us to enjoy life to find JOY through love and compassion. It stimulates our own healing powers and the ability to see one’s true self. This stone promotes the flow of money, fertility, harmony and abundance in one’s life. Larimar is ALL heart and helps you go through changes in a peaceful way. It activates the heart and throat, facilitating inner wisdom and outer manifestation. 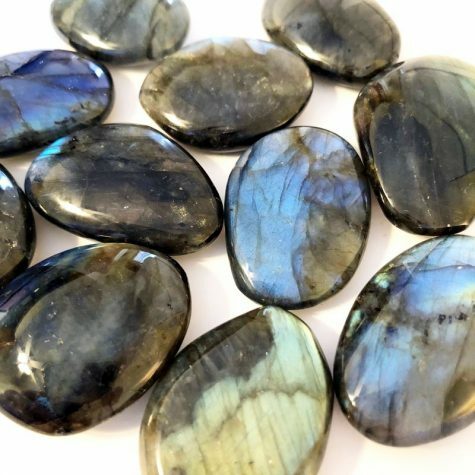 It’s a wonderful stone for connecting us with the Divine Feminine, the soothing, calming aspects of loving compassion. Larimar represents peace and clarity, radiating healing and love energy. It aids in breaking down the walls around the heart. The candles contains a Larimar crystal and pure essential oils of Geranium and Sandalwood. Handcrafted pink Bath Bomb created with all natural ingredients to help you enjoy a quiet time of relaxation and energizing your heart. Enter your warm water-filled bath tub. Drop the Bath Bomb in the tub and enjoy your spa-like experience! Add your Rose Quartz crystal to the bath too! (They’re safe in water, but the other crystals are NOT!) Ingredients: Sodium Bicarbonate, Citric Acid, Epsom Salt, Coconut Oil, Essential Oil, Aqua, Polysorbate 80, Natural Color. There are only FOUR of these sets available! Due to variations in crystals, each set will be completely different from what is shown.